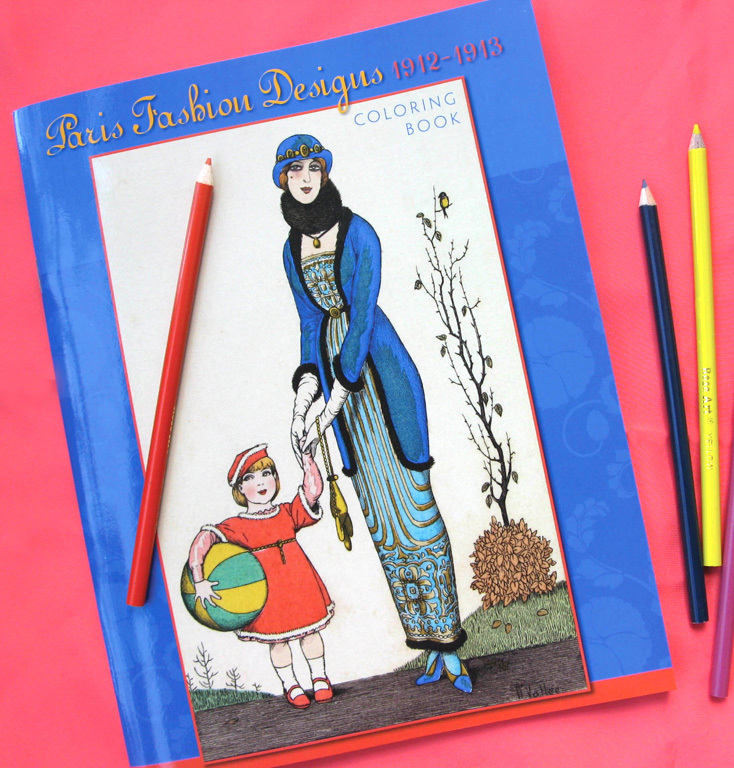 This is really a coloring book for grown-ups…those who love beautiful Paris fashions from c. 1912-1913. Back then, women learned about the latest styles from publications like The Gazette du Bon Ton and L’Illustration. They featured hand-colored pochoir prints of these outfits, drawn by the leading illustrators of the time, and set in glamorous drawing rooms or flower-filled gardens. Those that survived are quite collectable. So take your crayons or pencils and have fun coloring in these 22 ensembles.